Out-Of-Service or OOS means the operation has no standing to operate due to bad safety performance or a failure to pay a fine. Continued operation is not permitted. Under § 392.9b Prohibited transportation. (a) USDOT Registration required. A commercial motor vehicle providing transportation in interstate commerce must not be operated without a USDOT Registration and an active USDOT Number. A deactivated USDOT number, for those in interstate commerce, can result in roadside citations and fines, but not (at this time), being put Out Of Service (OOS). At a later DOT audit or investigation, your company can be fined $1,000 per day, up to $10,000. Tip: Check your status at the DOT’s SAFER Safety and Fitness Electronic Records (SAFER) System webpage: www.safersys.org (click on Snapshot and put in your DOT number). 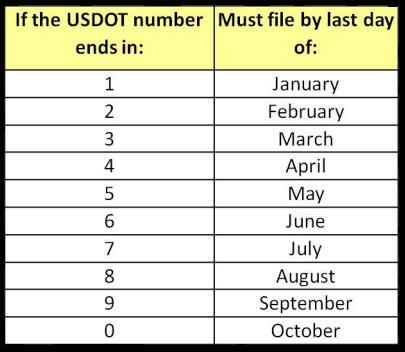 Update the registration information (at the same link), if your DOT Number is Inactive or deactivated, by clicking on: FMCSA Registration & Updates). You may call the DOT toll-free for help at 1-800-832-5660.